The Natural Products Expo West/Engredea, produced by New Hope Natural Media, will be held March 9th-13th at the Anaheim Convention Center. Projected to be the largest in its 36-year history, the sold out trade-only event will play host to more than 3,000 companies and 70,000 attendees. The natural products industry is experiencing growth of 9% per year, driven in part by new and emerging brands. This year, the number of entrepreneurial exhibitors will hit 600, including a full 400 brands that will be featured at the Anaheim Hilton, a must visit area to see the newest products. 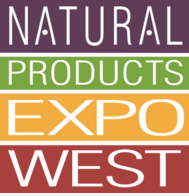 Get Social & Mobile App: Exhibitors and attendees can follow @NatProductExpo on Instagram and Twitter or Facebook.com/NaturalProductsExpo for all the latest #ExpoWest buzz.